Yesterday (Tuesday May 17th) Dr. Megan Oakleaf led a dynamic workshop dedicated to helping attendees learn how to demonstrate the academic library’s value to the institution. Megan Oakleaf’s keynote presentation was based around her recent ACRL publication titled The Value of Academic Libraries (VAL). While many librarians have doubtlessly skimmed the executive summary to the VAL report, this presentation took attendees beyond the executive summary, helping them to see more clearly what is and is not known about the impact that academic libraries have on their institutions. Attendees were encouraged to see the value of the library in a larger context, something that special, public, and school libraries have been doing for years. Instead of focusing on what we do, academic librarians should ask themselves what it is that we enable others (students, faculty, and administrators) to do better. For example: Oakleaf says that it is not enough for academic libraries to show that students know their Boolean operators. To continue to remain relevant, we must show our institutions how this knowledge contributes to student retention and success. “This is not business as usual” Oakleaf emphasizes. Instead, “This is a national re-framing of academic library value.” The central questions academic libraries should be asking in the future are: how do we increase our impact & how do we measure that impact? Two hands on activity sessions were incorporated into Oakleaf’s presentation to help attendees think critically about how library services correlate with institutional goals (such as student enrollment, retention, engagement, faculty teaching, institutional prestige, and so on). Librarians were also encouraged to develop action steps to take back with them to their institution (using Appendix A, the “Academic Library Value Checklist,” from the VAL report as a guide). Megan concluded by encouraging library administrators to talk more about assessment and to model assessment based on institutional goals at their institutions. Oakleaf also moderated a panel discussion to help librarians learn more about what academic institutions value. Present on this panel were higher education administrators from various institutions, several different academic offices, and also representative from the Middle States Commission on Higher Education. The panel responded to several questions presented by Oakleaf designed to show librarians what institutional drivers administrators were most concerned with, and what the perception of the administration was about how the library contributes to success in these areas. Panelists emphasized that the academic library and librarians were in a great position to look beyond our traditional roles and “infiltrate” into other areas of the institution where we can add value or fill in institutional gaps. Couldn’t make it? Read Megan’s editorial in the May 2011 issue of College & Research Libraries. You can also view the Workshop Twitter Feed to see what pieces of information librarians found most valuable during the session itself. The twitter feed also includes links to additional resources which were mentioned by Oakleaf or the panelists during the workshop session. Nice job, Larissa! I’d like to share the panelists’ bios since I wasn’t able to that before their session, due to time and mike constraints! Betty Harper is the director of Student Affairs Research and Assessment at Penn State, where she works with Student Affairs staff to establish and assess learning outcomes. Prior to assuming this role, Betty worked in Penn State’s Center for the Study of Higher Education focusing on engineering education outcomes and with Rankin and Associates Consulting, analyzing data from campus climate studies at institutions across the country. Prior to working in assessment, Betty served as the Undergraduate Program Coordinator in Penn State’s School of Forest Resources, where she coordinated advising for undergraduate students in three majors. Betty completed her Ph.D. in Higher Education at Penn State in 2008 with a specialization in institutional research and was the recipient of graduate fellowships from the Joseph M. Juran Center for Leadership in Quality and the Association for Institutional Research. Prior to pursuing her doctorate, Betty received her B.S. in Natural Resources Conservation and an M.S. in Wildlife Ecology from the University of Florida. Jerry Rackoff founded Bucknell University’s first institutional research and assessment functions in 1995, and currently serves as Assistant VP for Planning & Institutional Research. He led Bucknell’s most recent strategic planning process, served as co-chair or adviser for three accreditation reviews, and was campus administrator for three presidential searches. He established Bucknell’s current Institutional Review Board in 2000 and served as its chair for nearly a decade. He is the recipient of Bucknell’s 2003-04 Walter Geiger Award for Administrative Excellence. He received a Ph.D. from Yale University in vertebrate paleontology, and first came to Bucknell as a member of the Biology Department faculty. He subsequently established offices of sponsored research and corporate and foundation relations before serving as Associate Vice President for University Relations Administration, with responsibility for donor relations, special events planning, data processing and prospect research. Dr. Rackoff is a member and past chair of the Board of Directors of the Higher Education Data Sharing Consortium. His professional interests include higher education classification, planning and resource allocation, knowledge management, accreditation, human subjects protection and survey coordination. Maureen McCreadie currently serves as Dean, Learning Resources at Bucks County Community College in Newtown, Pennsylvania, where she leads a collaborative team of faculty and staff members from the Library, Online Learning, the Tutoring Center, MInDSpace (Media and Instructional Design), Teaching & Learning with Technology, and the TLC (Technology Learning Center). Her publications include *Accessing and Browsing Information and Communication,* coauthored with Ronald E. Rice and Shan-Ju L. Chang, and published by the MIT Press in 2001. She earned her Ph.D in Communication & Information Studies from Rutgers, the State University of New Jersey in 1998. Ellie Fogarty joined the Middle States Commission on Higher Education staff in 2010 as Vice President with liaison responsibilities for over 80 member colleges and universities. 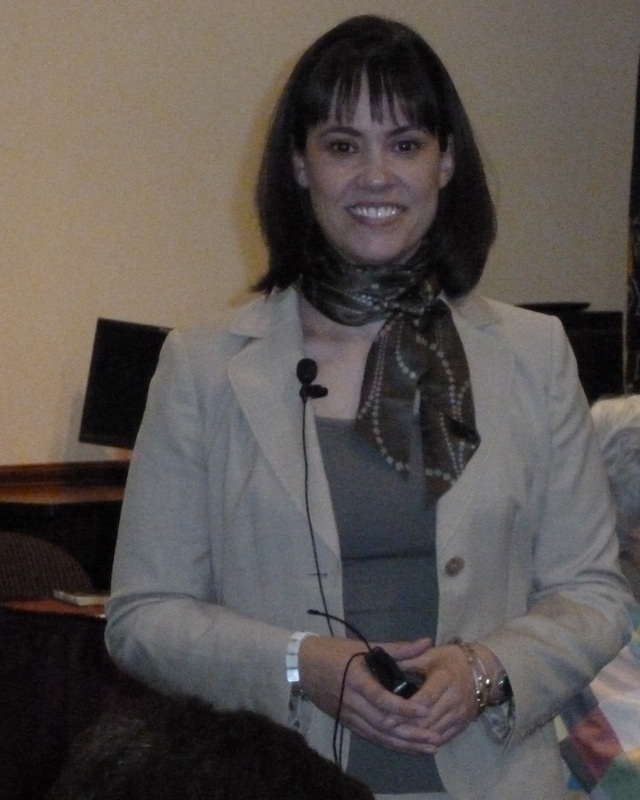 From 1992 to 2009, Dr. Fogarty was employed by The College of New Jersey, including roles as Associate Provost for Planning and Resource Allocation, Deputy Compliance Officer, Collection Development Coordinator, and Business & Economics Librarian. She served as a volunteer peer evaluator on six MSCHE accreditation team visits to a variety of institutions prior to joining Middle States as staff. Dr. Fogarty is the author of articles published in the Journal of Business and Finance Librarianship, Financial Services Review, Journalof Economic Issues, and College and Research Libraries News. Several of her case studies were published in the book, *Strategic Management and Business Policy*. For over 10 years, Dr. Fogarty was an active member and held various leadership roles within ALA, NJLA, and the Special Libraries Association. During that time, she was recognized by “American Libraries” as one of 20 emerging library leaders in their 20s. Dr. Fogarty earned her Ed.D. in Higher Education Management from the University of Pennsylvania. Her dissertation was titled, Strategic Planning as Though Learning Matters: In Search of Evidence at Small Colleges. She earned her Master¹s of Business Administration with a concentration in General and Strategic Management from Temple University, her Master¹s of Library Science from the University of Pittsburgh, and her undergraduate degree in Economics and Business Administration from Immaculata University. Mary Anne Fedrick, PhD, is Dean of the Reap College of Education and Human Development at Marywood University, Scranton, PA. In her over 35 years at Marywood, Dr. Fedrick has served as library faculty, Director of the Library, Assistant Vice President for Academic Affairs, Interim Director of Undergraduate Admissions, and Associate Vice President for Enrollment Management. Dr. Fedrick led a team of Marywood faculty as one of the founding institutions of the Council of Independent Colleges Teachers for the 21st Century project. Dr. Fedrick is currently the Chair of the Periodic Review Report Committee preparing the report for Middle States. (And I might add, Mary Anne is a past chair of the CRD and a past president of PaLA) Dr. Fedrick enjoys reading, walking, and, from her experience in co-owning a flower shop, can make a terrific bow for any occasion.